Whether you want a traditional style or the clean, sophisticated lines of something a little more contemporary, a Falcon range cooker will become the cornerstone of your kitchen. 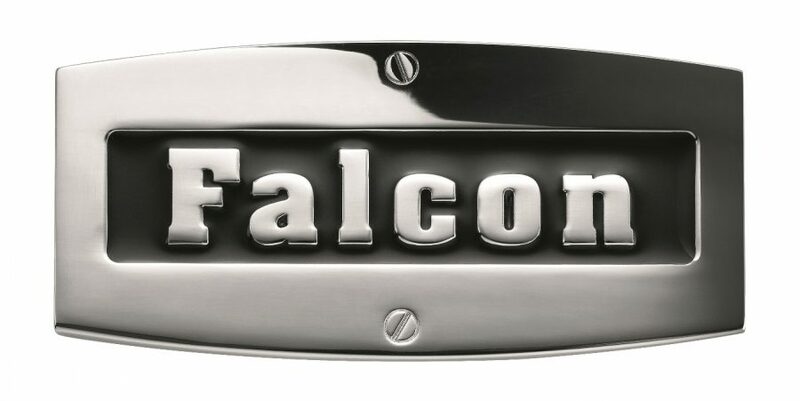 Falcon’s heritage as one of the UK’s leading professional catering equipment manufacturers spans more than 75 years, and has earned an enviable reputation amongst the nation’s top chefs. Falcon is part of the AGA Group, which is renowned for its market-leading stoves, focus on design-led innovation, and evolving portfolio to meet the changing lifestyle demands of consumers. Bringing professional build quality to the domestic market, Falcon’s products are sleek and stylish on the outside and brimming with the latest technology and features on the inside. All Falcon cookers are manufactured in the UK, using professional-grade materials, highly skilled workmanship and the latest machinery to inspire the hidden chef in anyone. With models including the Classic, Professional and Elan, Falcon is committed to producing exquisitely engineered and beautifully designed range cookers in a variety of styles, colours and features. Rangehoods and splashbacks are also available to help protect your kitchen and reduce cleaning time, while matching with your Falcon cooker’s design. The Classic and Professional cookers now include induction cooktops, using electromagnetism to directly heat your pots and pans rather than the cooktop surface, providing chefs with great safety and control. Another notable feature of Falcon Professional cookers is the Energy Saving Panel. When you’re not using all the space in your oven, this plate divides your oven into two sections, only one of which is heated, saving energy. Falcon continually sets out to inspire the passion in its customers through its products, offering an array of colours and a stylish selection of modern trims so you can pick a cooker that looks the part in any kitchen. Available in both contemporary and traditional styles, Falcon cookers are equally at home in modern and traditional settings. Falcon is inspired by both traditional and modern elements of the upright cooker world, offering six definitive styles; Nexus, Elan, Classic Deluxe, Classic, Professional and Kitchener. Every Falcon cooker is made in Royal Leamington Spa, Warwickshire, United Kingdom, and benefits from over 187 years of manufacturing experience. Rangehoods and splashbacks are also available to complement the Falcon cookers. Choose from an ultra-modern or classic look, or anything in between, to get the kitchen that you want. For an interesting twist, try combining the traditional style of a Classic model Falcon oven with an induction cooktop, wrapping innovative technology up in a retro package. Need help finding the perfect kitchen appliance solution for your household? Contact us today and we can help find the right solution. DID YOU KNOW we host free cooking demonstrations in-store to assist you in selecting the most suitable appliances for your needs and budget. CLICK HERE to book now.